In recent years, we have witnessed an explosion of new marketing techniques and tools. And we all want to be part of it, all eager to be at the forefront of a revolutionary marketing movement. Website development, reporting metrics, mobile apps, email automation, design syndication, ROI analytics—name it, we all want to get started with it. 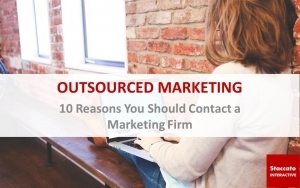 Download this Whitepaper to learn 10 Reasons you should outsource your marketing. 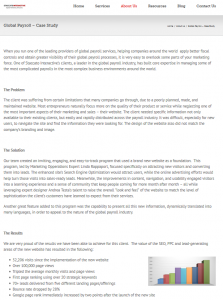 Of course we wouldn’t be writing this if we weren’t extremely proud of the results we have been able to achieve for our client. All the Content creation is currently generating over 500 Marketing Qualified Leads a quarter and over $300,000 in pipeline a month. This is over 5 times what the client has ever seen before. 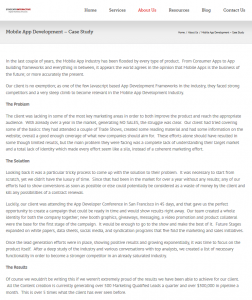 Staccato Interactive was able to drastically improve the client’s sales thanks to a new and improved website and continuous SEO and PPC improvements. The new website design certainly was the jumping off point to achieve these results, but the long-term results were truly generated by the monthly SEO and PPC efforts. These efforts include the aforementioned keyword utilization and updates to the website copy, along with our continuous site enhancements.